David Patterson was the first in his family to graduate from college and he enjoyed it so much that he didn't stop until he received a Ph.D. (UCLA '76). He then joined UC Berkeley, where he and his colleagues developed Reduced Instruction Set Computers (RISC), Redundant Array of Inexpensive Disks (RAID), and Network of Workstations (NOW). 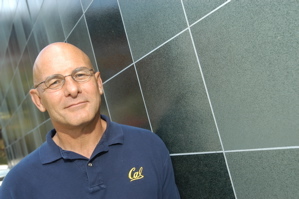 He was elected Chair of the Computer Research Association and President of the Association for Computing Machinery and served as Chair of Berkeley's Computer Science Division. He is currently Director of both the Reliable Adaptive Distributed systems All this led to about 200 papers, 5 books, and about 30 of honors for research, teaching, and service, including election to the National Academy of Engineering, the National Academy of Sciences, and the Silicon Valley Engineering Hall of Fame and being named a Fellow of the Computer History Museum, ACM, IEEE, and both AAAS organizations.